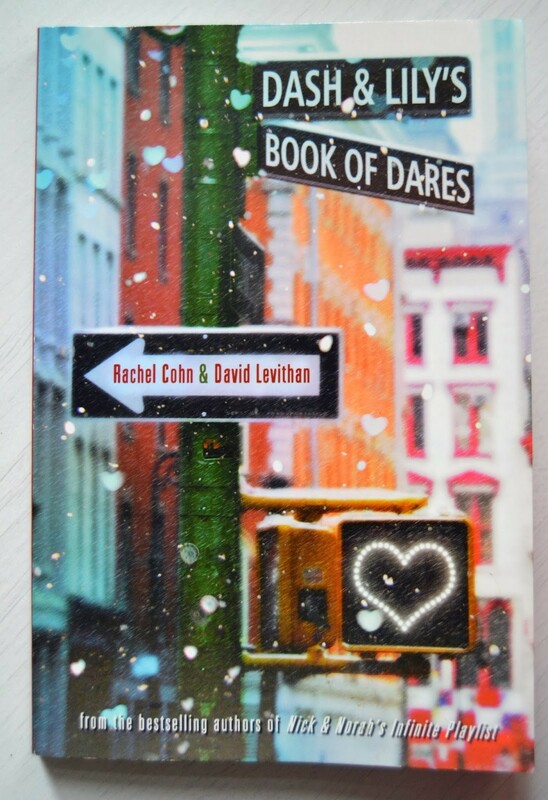 This is another book that I requested pretty much because it's set in a place I really want to go to - New York, and New York at Christmas time at that, and because one of the authors is David Leviathan (His Will Grayson, Will Grayson is a big favourite of mine). He's written it jointly with Rachel Cohn, in alternating chapters, DL writing the Dash chapters and RC Lily's. It's a love story. Dash is in a bookshop when he discovers a notebook between the books on the shelves. In the notebook is a challenge - follow the puzzle, when you solve it write your own puzzle answer and if she likes it the notebook owner will respond. Dash is a smart bloke, and appreciates the challenge, though some of the books involved are a bit odd, and so the dares begin - dares because the places they have to go to leave the notebook each time are not places they would normally go to, but are places that add to their growing knowledge of each other. Dash is a pretty dour character, full of complaints and down on his divorced parents, left alone in the city at Christmas time, Lily too although she's an altogether more cheerful character, so not too many interfering adults to get in the way, though Lily's extended family are very useful for the various notebook locations, and she goes to her excellent aunt when things turn bad - as they must in all good love stories, until everyone learns their lessons and attempts to live happily ever after. It's not a brilliant novel, but entertaining in a YA chicklit holiday reading way, which was just what I needed at the time. 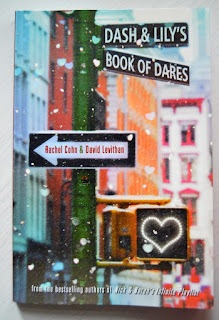 Levithan & Cohn have written other novels together in a similar vein - Nick & Norah's Infinite Playlist and Naomi & Ely's No Kiss List.